I am an ex-Indian Air Force physician, blogger, and indie author. My themes include romantic sagas, family dramas, immigrant experience, women’s issues, and medicine. I love extraordinary love stories and heartwarming tales of duty and passion. My books have consistently been the Top 100 bestsellers on Amazon USA and Amazon India in Asian Literature, Indian Writing, and Asian Drama categories. My short stories have appeared in short-story.net and induswomanwriting.com. While medicine is my profession, writing is my passion. When I'm not at the microscope making diagnoses, I write fiction. My life-experiences have taught me that no matter how different people are, their desires, fears and challenges remain the same. 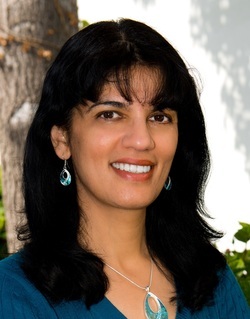 I grew up in Bhilai, India and after a 5 year stint in the Indian Air Force, completed my graduate studies in Los Angeles where I am a practicing pathologist. I live in Arcadia, California, with my husband and two wonderful children. In my free time, I paint, read, sing, go on long walks, and binge-watche old TV dramas. Please get in touch with any questions or comments, and join my email list to hear about my new releases and Book Reviews. I'd love to hear from readers, reviewers, and bloggers. To receive an Advance Review Copy, please email me at info@sunandachatterjee.com. Check out all my books on Amazon. Want book recommendations? Click here for my favorite book site.